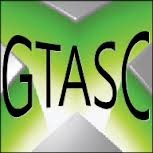 On a whim I signed us all up for TrueAchievements GTASC 2014 challenge. Best part is we have already found a 4th teammate. Welcome to the team SpankyNSpronkle! This should be fun. Already looking forward to January.